Let your customer know about your business as a professional and trustworthy finance/ business company with Finance WordPress theme! 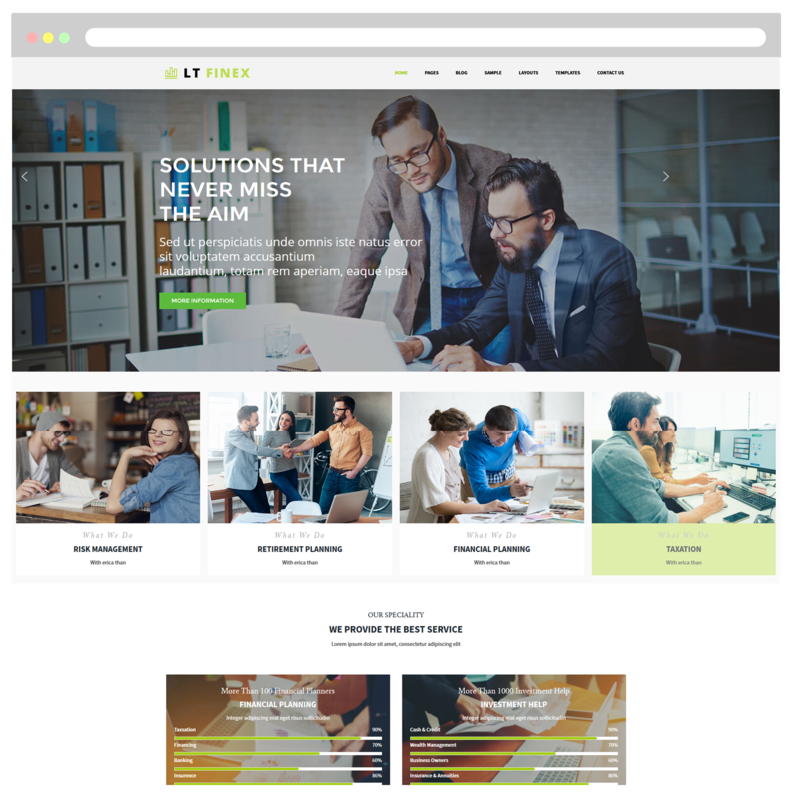 LT Finex is a responsive WordPress theme that is great for Investment Company or Financial websites. As a financial advisory firm, the debt collection business or do business coaching, you need to be trustworthy and professional. Finance WordPress Template contains the power to help you represent your company’s professionalism and expertise in the best way possible. Present your niche and specialization in the market by presenting them in a concise but informative design, using a series of images and content that’s easy on the eyes. If you need sliders or galleries to help your customers have a better look of your products, we have templates that have those features too! It’s designed to be fully functional for your business. 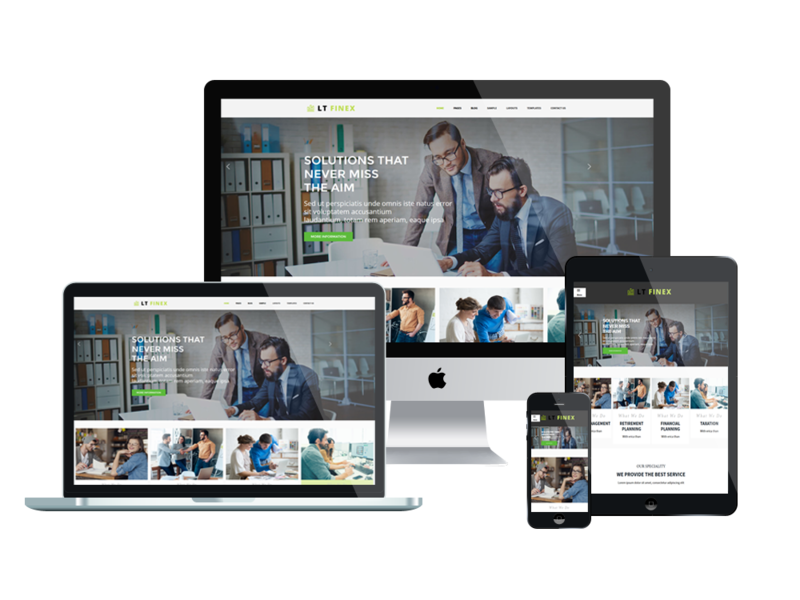 Developed on strong Genesis framework with fully bootstrap under 100% responsive layout, LT Finex will be an amazing choice to make your business website look more brilliant!